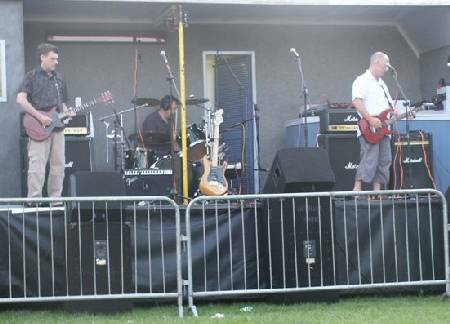 "Long-lost Blackpool Factory legends" play their first live show since Manchester Gallery in 1981 at the Summer Daze festival at Ashton Gardens in sunny Lytham St Annes on 15 August 2004. "Expect lots of new songs, and probably one or two blasts from the past". 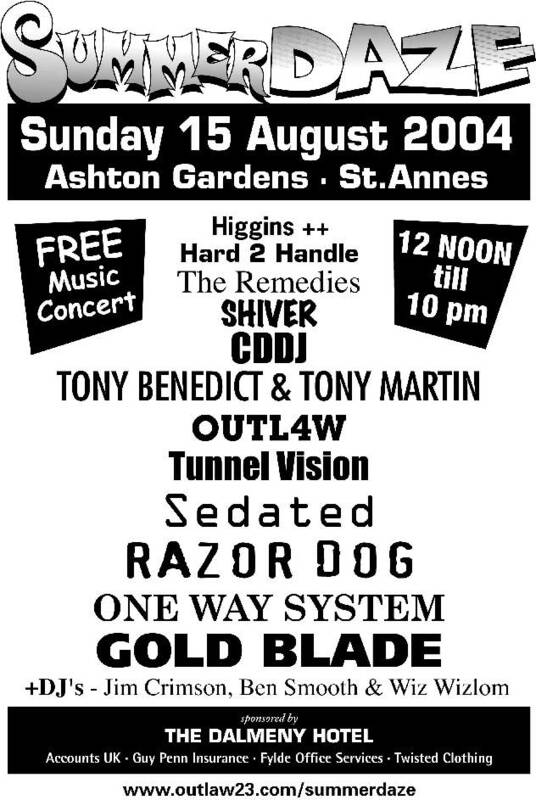 Tunnelvision played their first show since they trod the boards at Manchester Gallery on 1 October 1981 when they appeared at the Summer Daze festival at Ashton Gardens in St Annes, Lancashire on the afternoon of Sunday 15 August 2004. 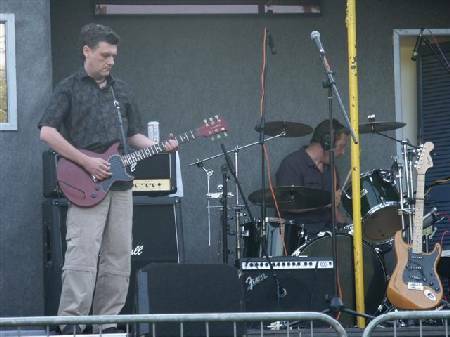 Introduced as a band from "Tony Wilson's Factory Records", the depths of Blackpool's musical history, they played a 25-minute set of all new material (because they didn't have time to rehearse the old stuff) and, despite the odd sound glitch, went down well with an enthusiastic crowd of sun-worshippers. 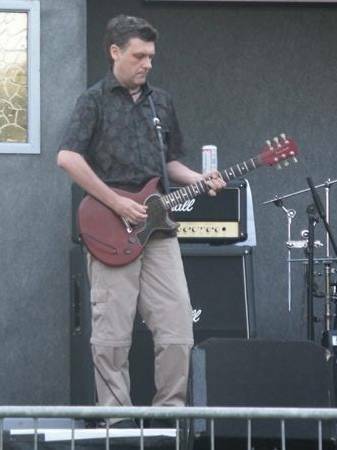 There was a squall of feedback between songs as a guitar was plugged unconventionally straight into a Marshall amp rather than through a pod. 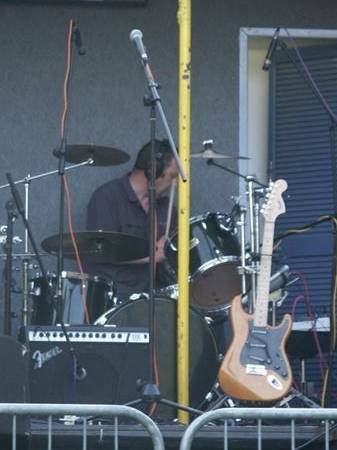 Overall though the sound was of good quality. The songs ranged from the long instrumental opener 'Summerisle' (a Wicker Man connection there?) to the short and shouty 'Any Day'. They closed with the excellent 'Where Was I?' with its epoch-straddling lyrics. 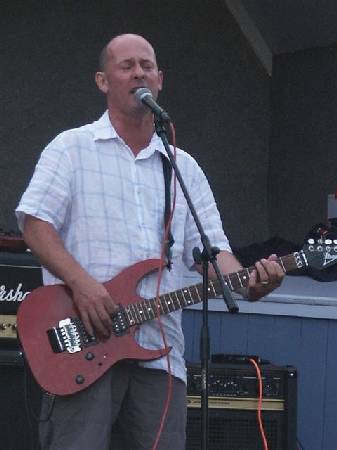 Afterwards, the band (Chris - vocals/guitar, Tony - drums and Ian - guitar) were in relaxed mood and looking forward to possible further live dates. Summerisle Psychopath Stones Any Day Where Was I?